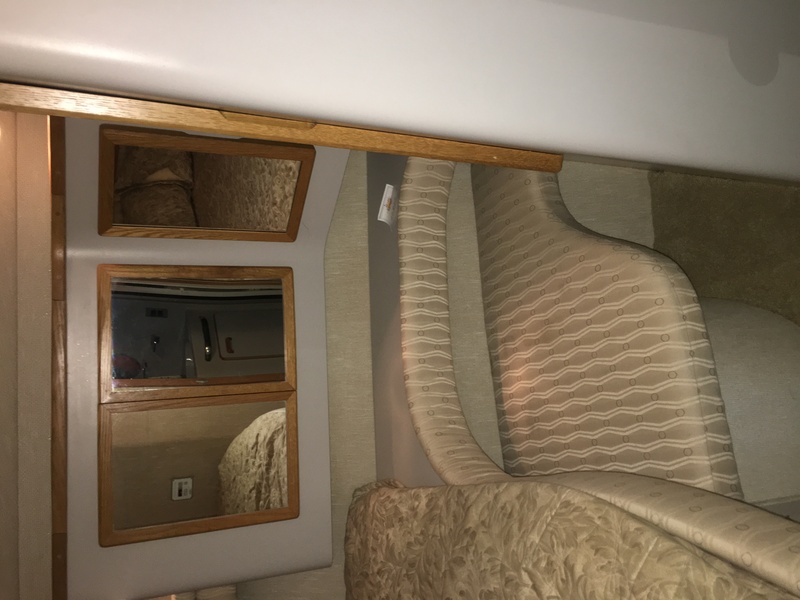 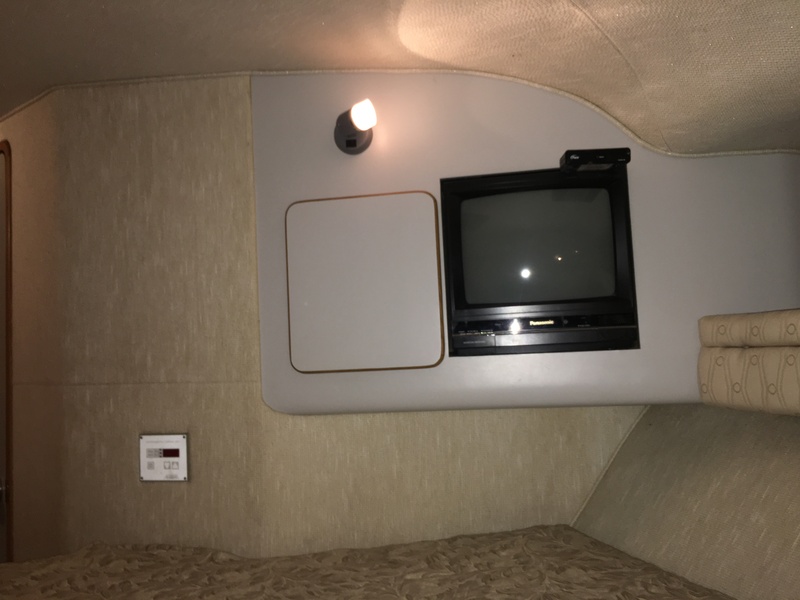 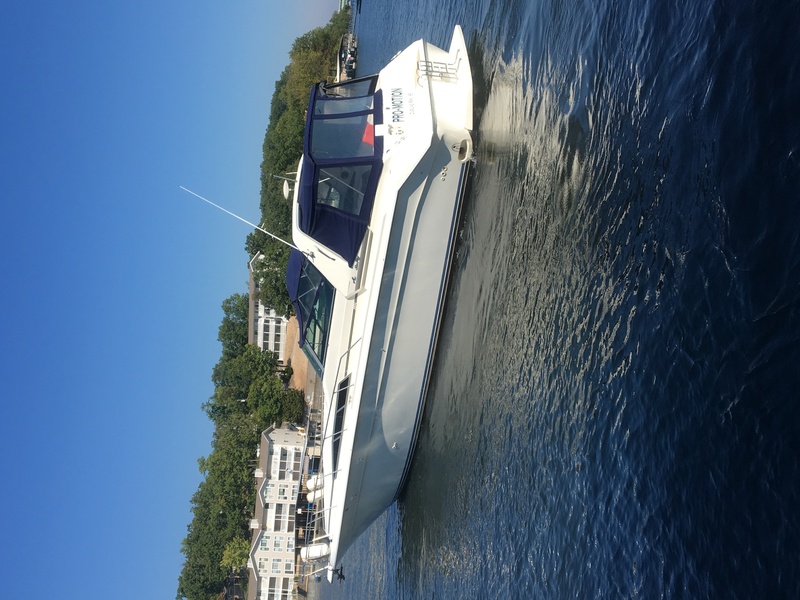 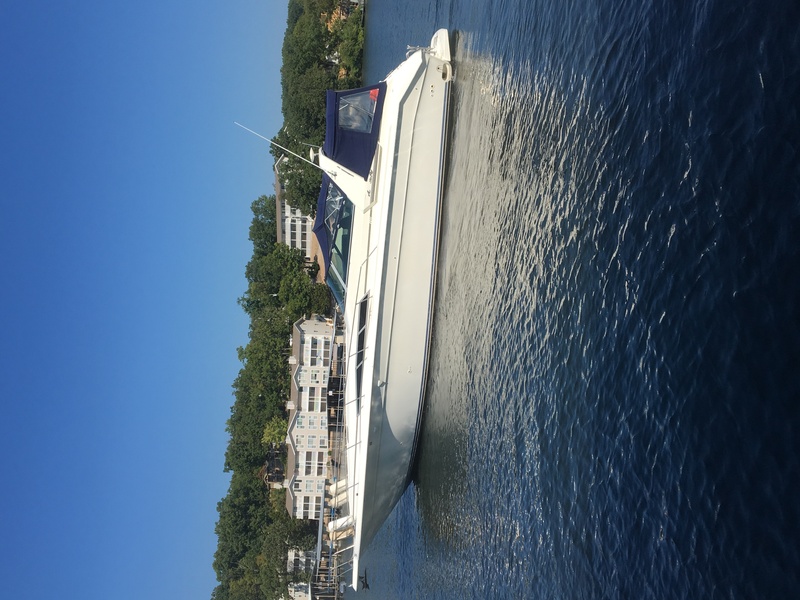 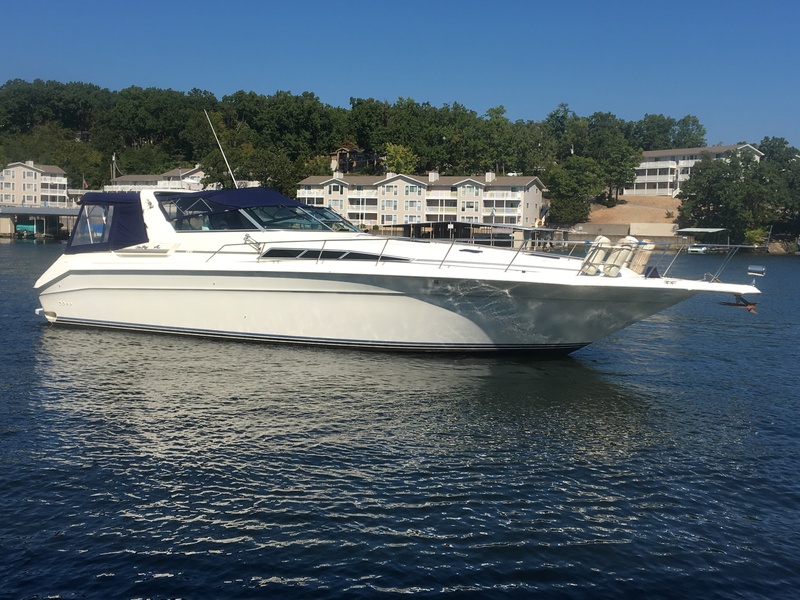 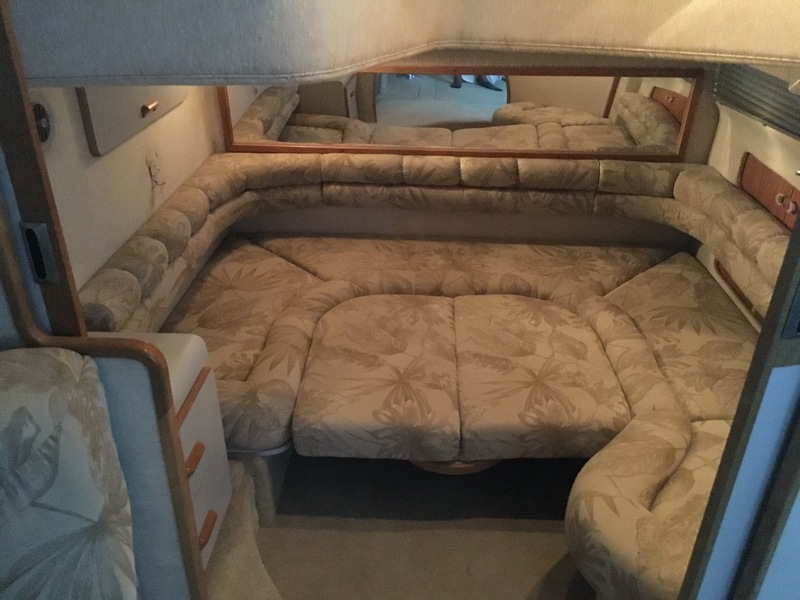 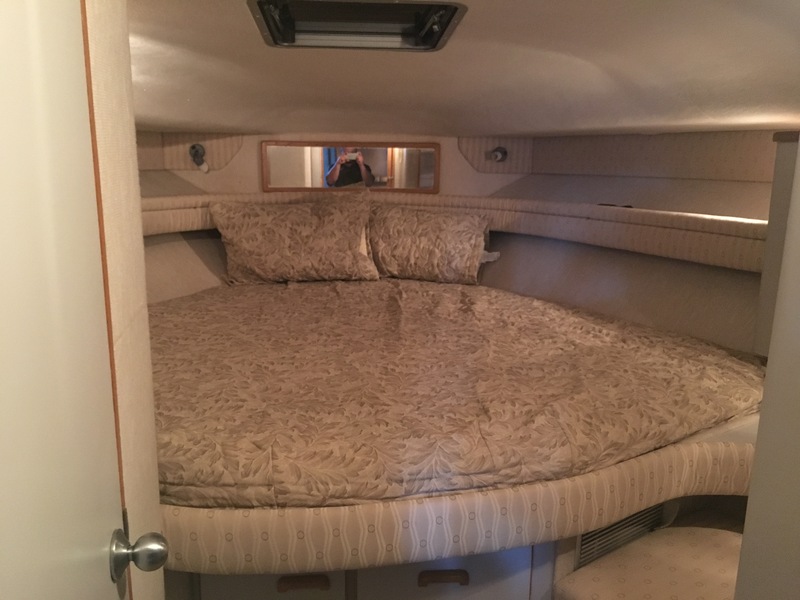 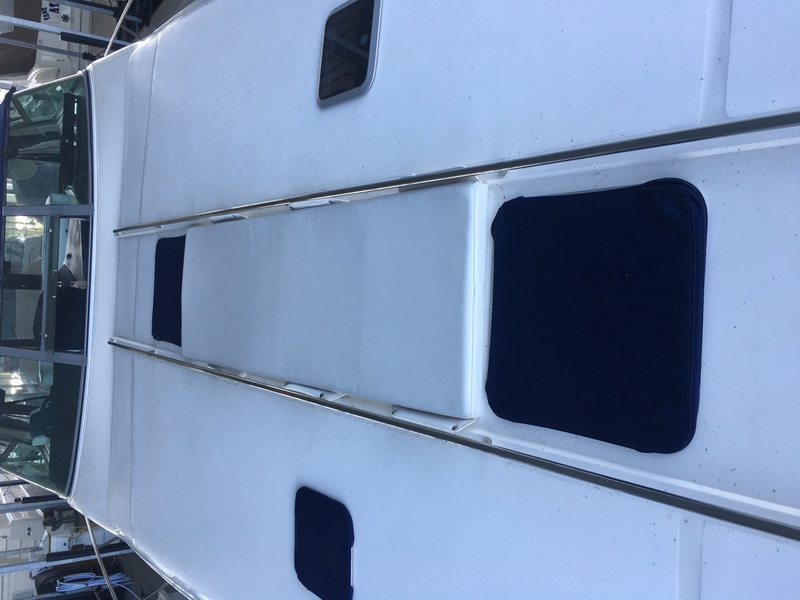 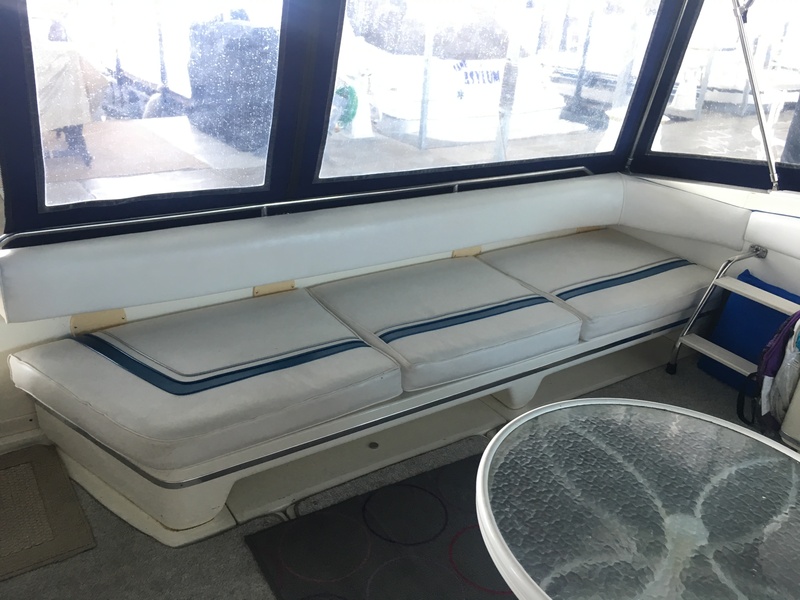 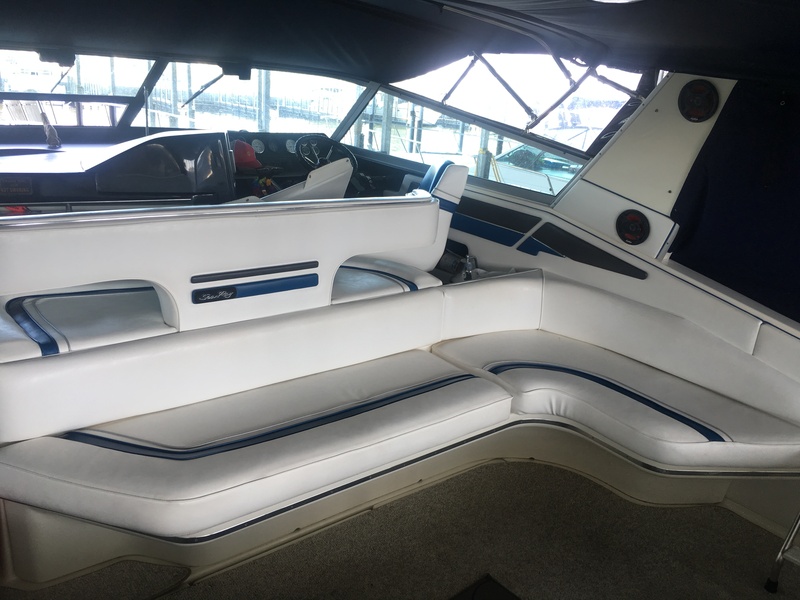 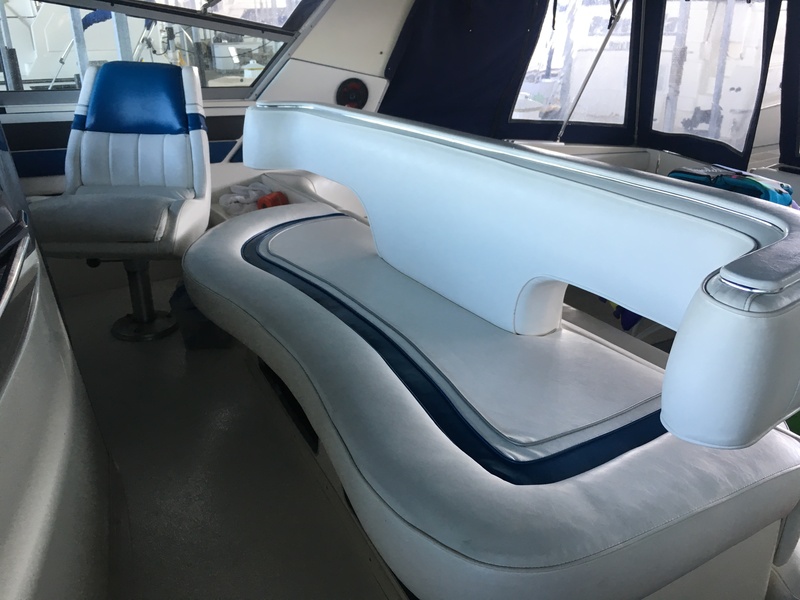 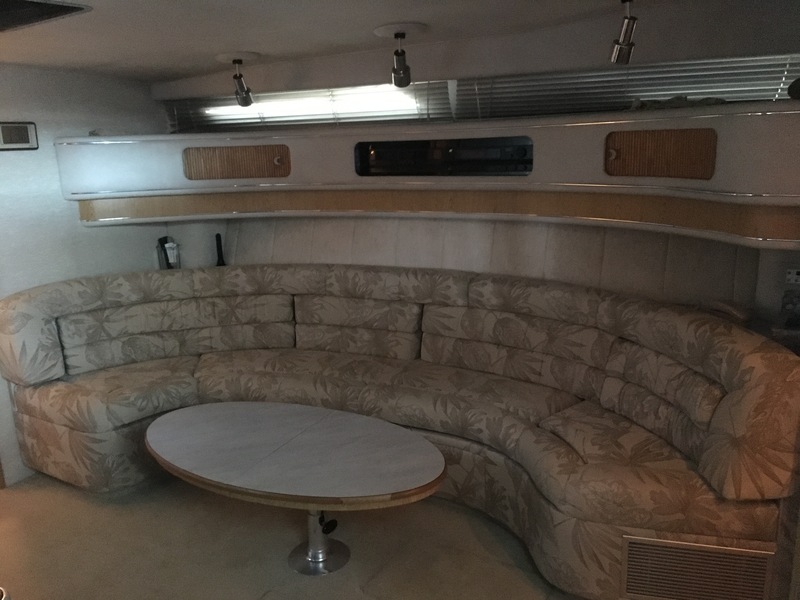 Beautiful boat with all new interior including new carpet, salon sofa, upholstery, bedding and trim, canvas and sunpad, fresh bottom paint, new batteries and much more. 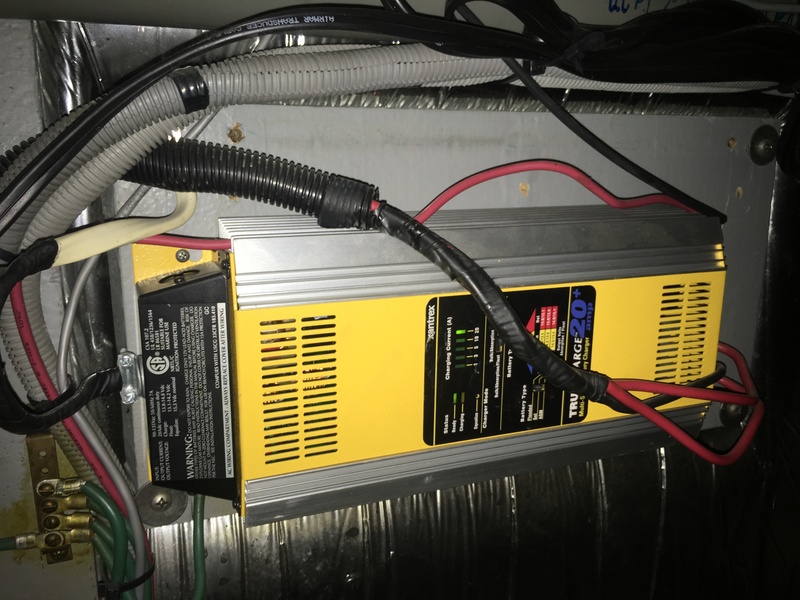 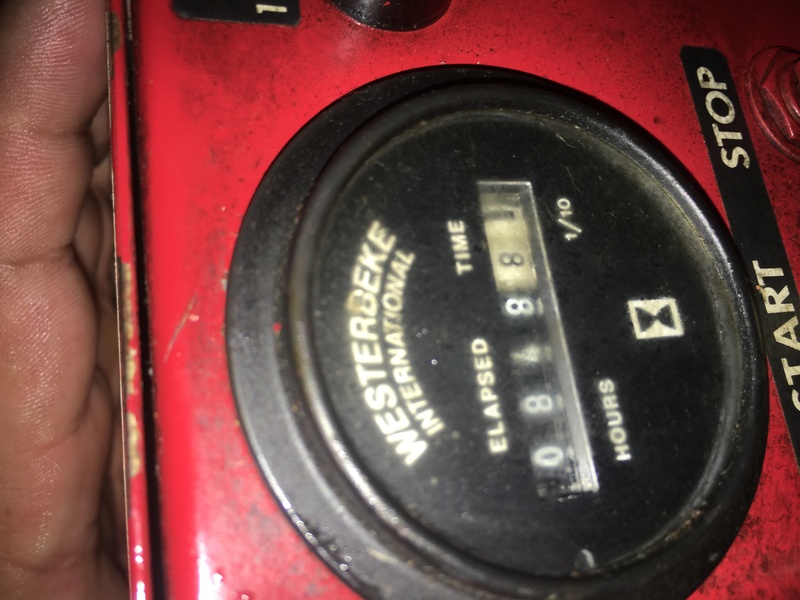 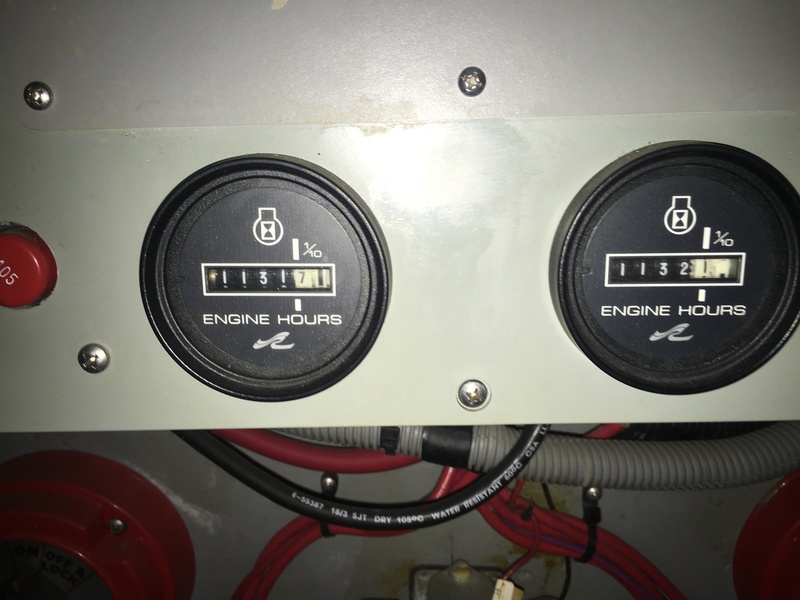 This boat has been extremely well-maintained by the same owner for 20+ years, and has always been in fresh water. 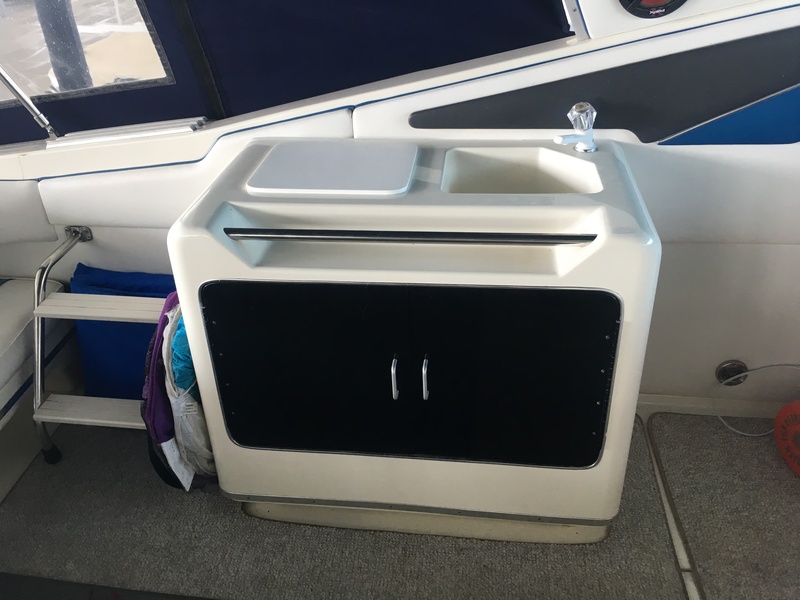 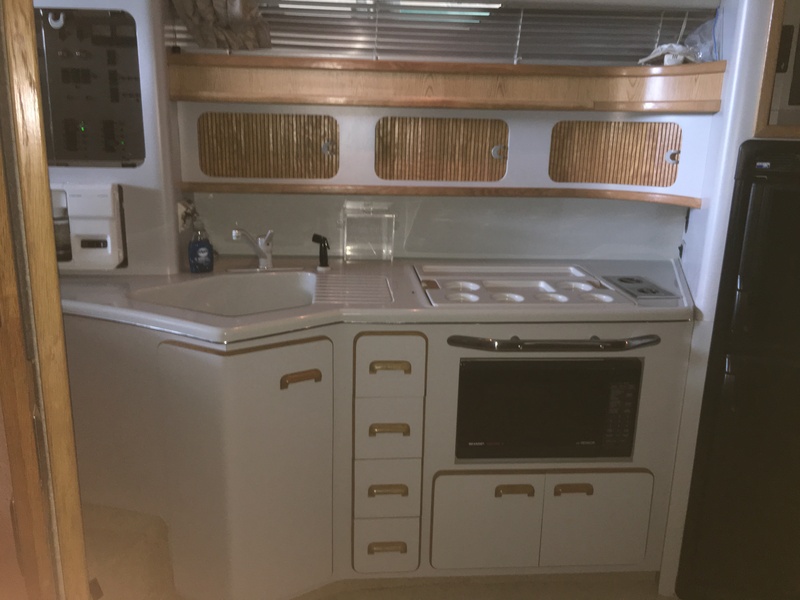 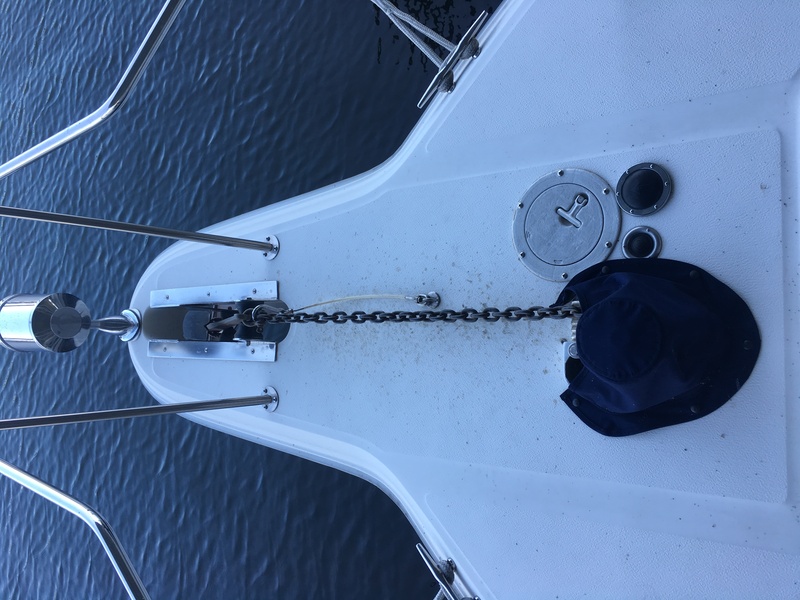 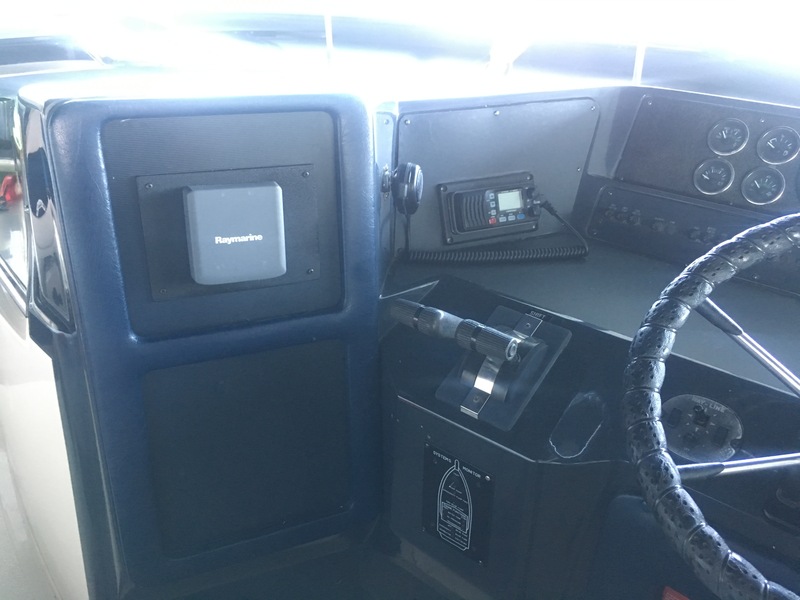 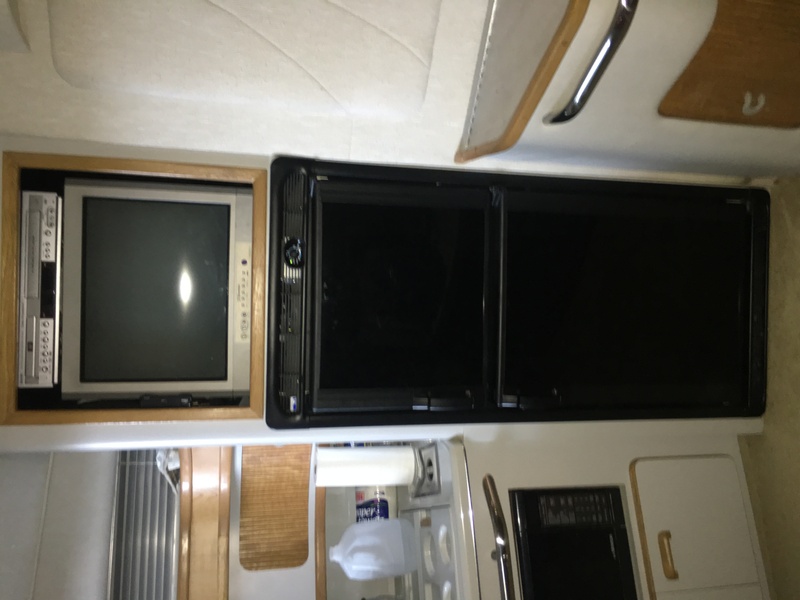 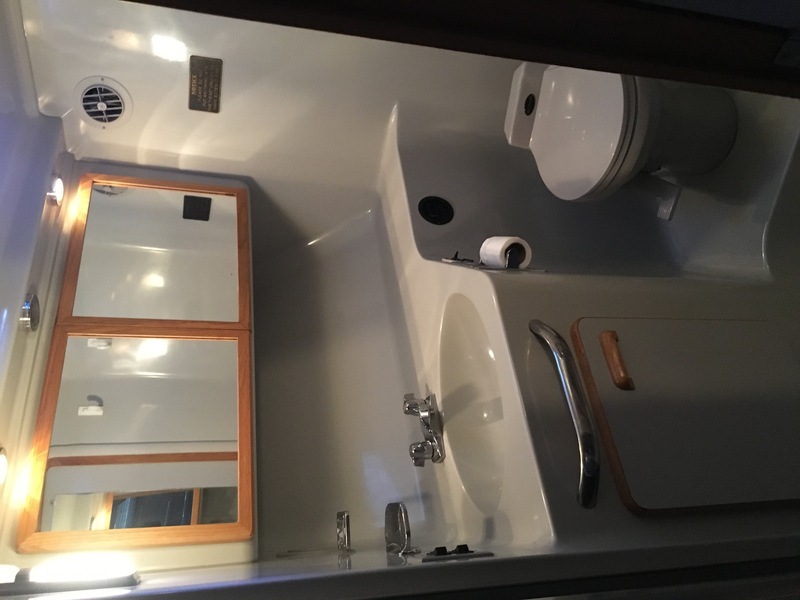 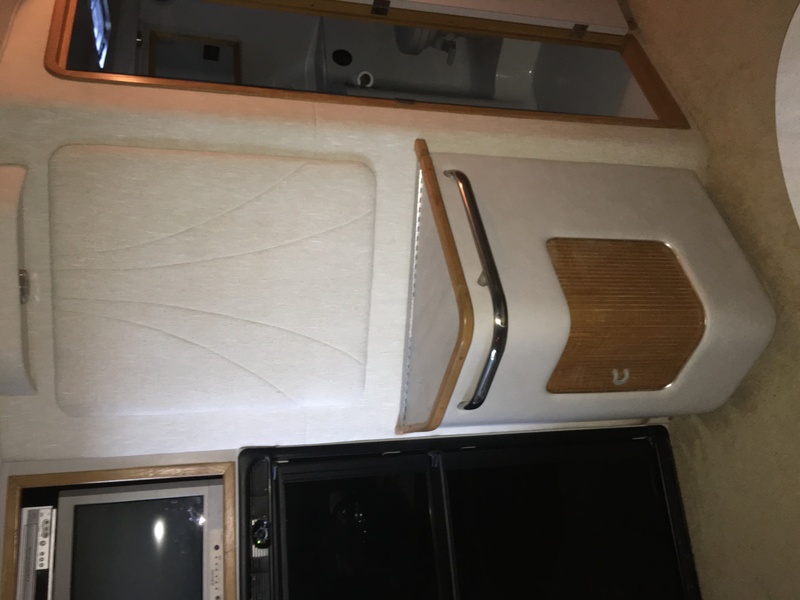 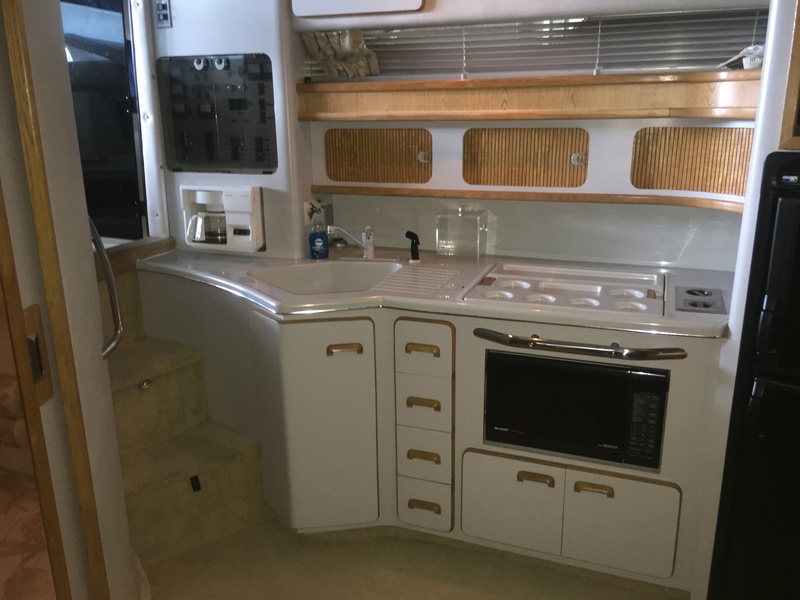 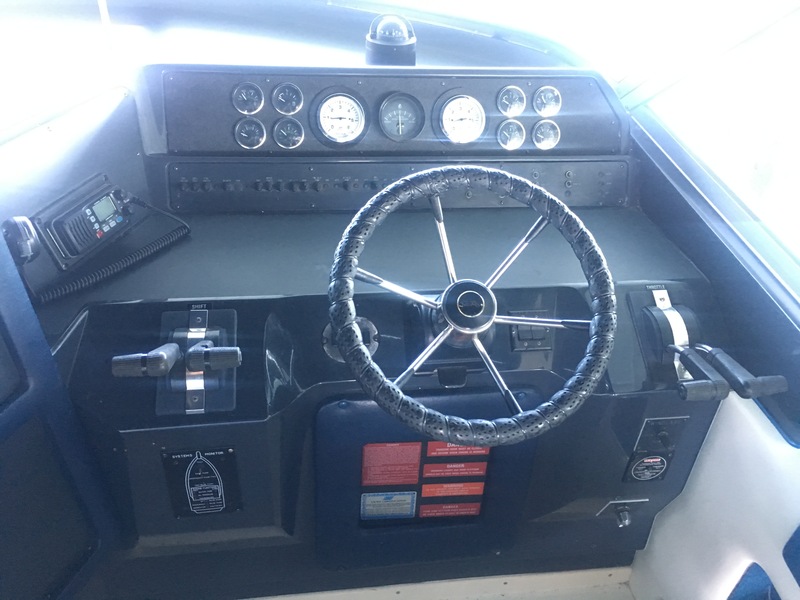 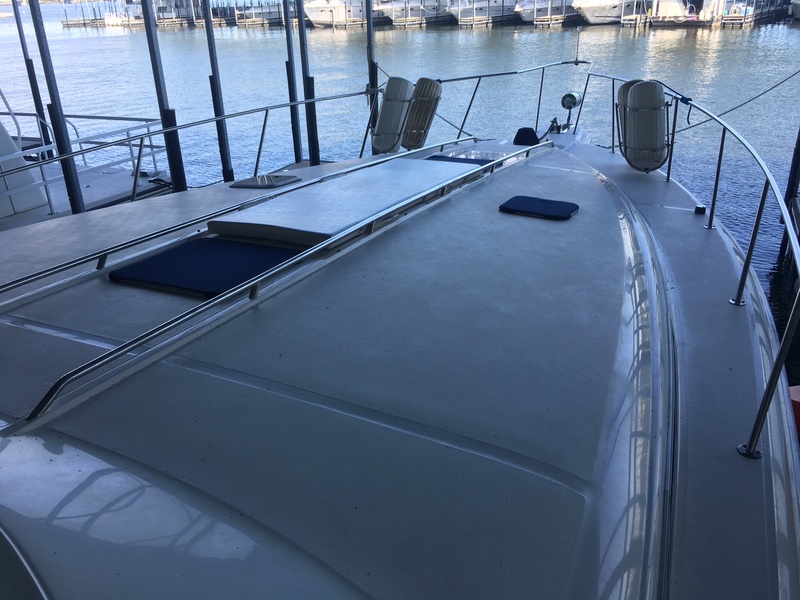 DECK/HULL: Anchor, pulpit, dock power, compass, fenders, racks, spotlight, W/S wipers, shore water, wet bar w/sink and icemaker; new sunpad, swim platform, transform shower, Arch.